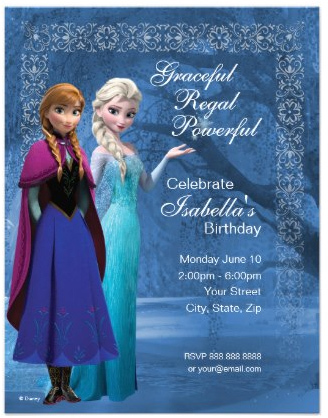 Featuring Anna and Elsa, customize this Disney Frozen birthday invitation with all the details for your child's birthday party. A cute Mickey Mouse birthday party invitation your children will love. Personalize with name, time, date and RSVP information. Personalize this Moana birthday party invitation with your child's name, date and other information. 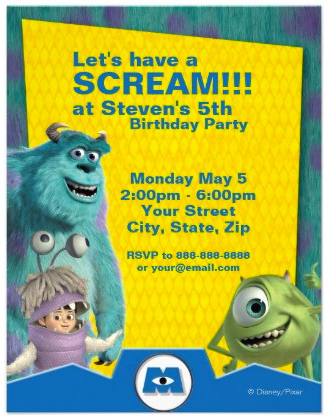 The cute and funny monsters from Disney's Monsters Inc. are smiling out from this fun Disney birthday invitation. Easily add your child's name and event information. 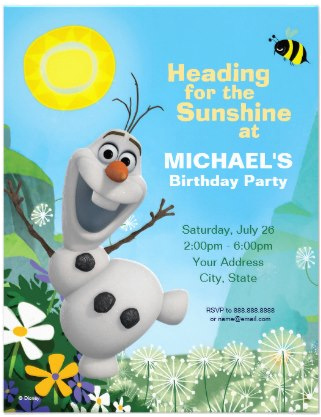 Fun Disney birthday party invitation with Olaf from Frozen. Easily customize this pink and white Disney birthday invite with your child's party information. 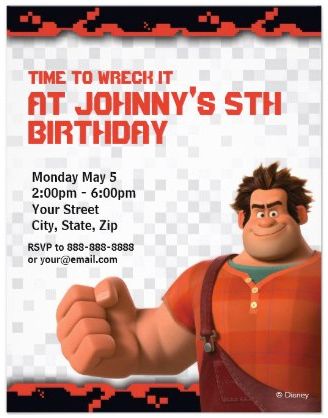 Personalize this Disney's Planes Fire and Rescue birthday invitation with your child's name and party information. Cute Disney birthday party invitation with Pooh, Tigger and Christopher Robin. Personalize this invitation with all your party details. Tinker Bell and friends frame your custom text on this colorful Disney birthday invitation. Easily customize this cute Frozen birthday invitation featuring Anna and Elsa on a snowflake motif with your child's birthday party information. 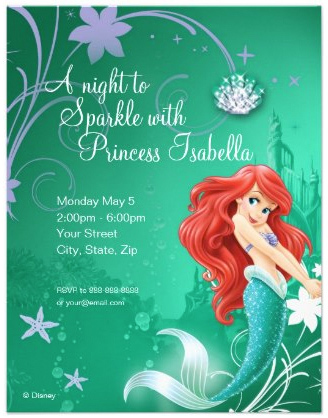 Easy to personalize Little Mermaid birthday invitation with Ariel helping to frame your text. For evening parties or sleepovers. 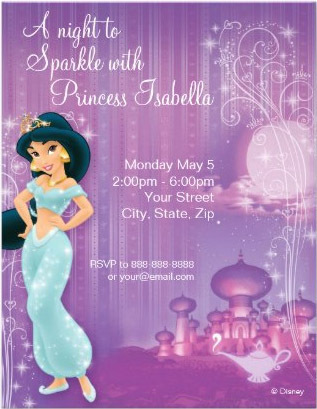 Personalize this fun Disney Birthday Party invitation with your child's name and party information. Fast Printing and Shipping provided by Zazzle. Learn More About Fast Turnaround. 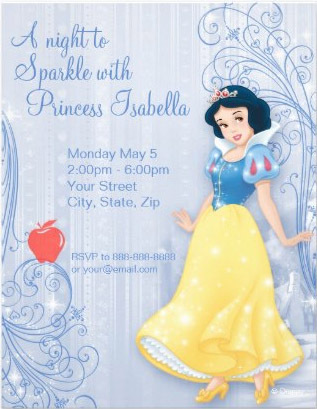 A Night To Sparkle Disney birthday invitation with Snow White presenting your custom text and party information. Easily customize this Disney birthday invitation with your child's name, age and all the party details. 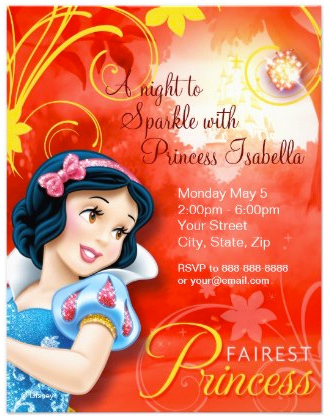 A Night To Sparkle Disney birthday invitation with Cinderella presenting your custom text and party information. 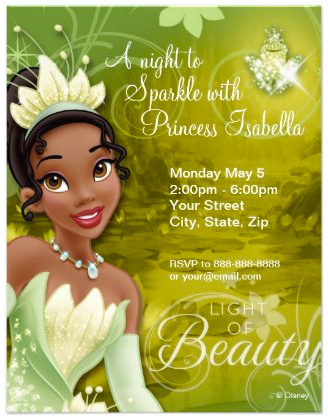 A Night To Sparkle Disney personalized birthday invitation with Tiana presenting your custom text and party information. 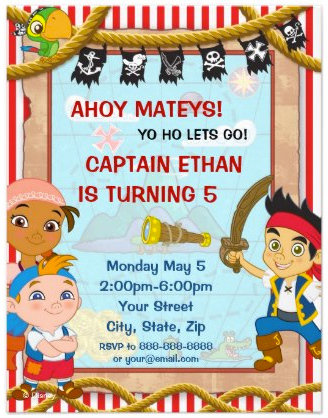 Jack and the Neverland Pirates invite friends and family to a fun celebration on this cute Disney birthday party invitation. Woody, Buzz Lightyear and their toy friends present your personalized text. a cute Disney birthday party invitation. 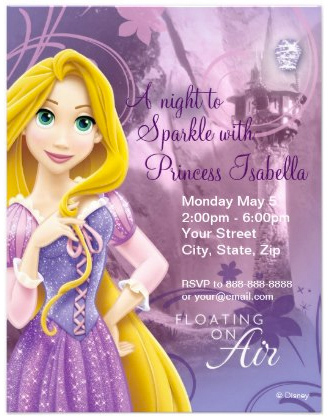 A Night To Sparkle Disney birthday invitation with Rapunzel presenting your custom text and party information. 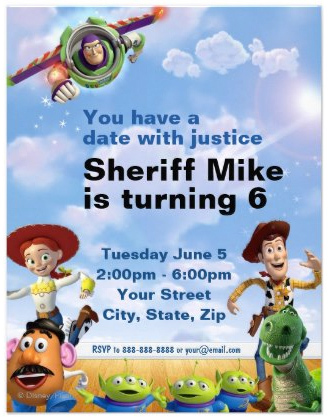 Invite friends and family to your child's birthday party with this fun Disney invitation. 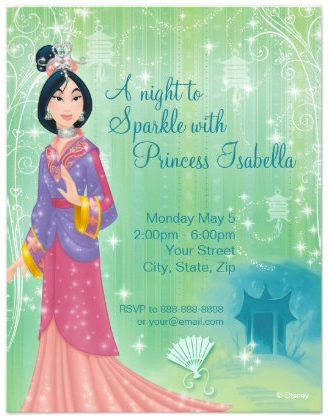 A Night To Sparkle Disney personalized birthday invitation with Mulan presenting your custom text and party information. 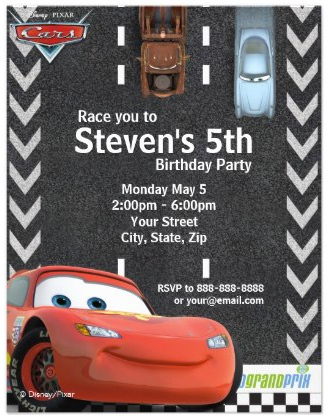 Disney's lovable cars and trucks present your custom message on this Cars birthday invitation. Fun racing theme. 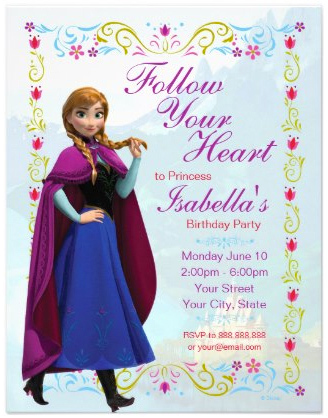 From the movie Frozen, Anna invites friends and family to attend on this personalized Disney birthday party invitation. 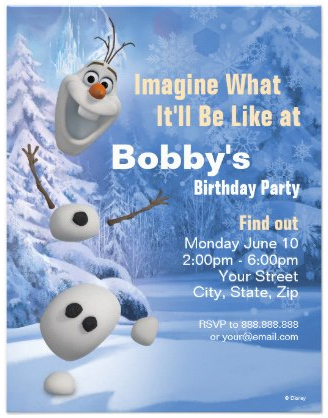 Olaf from Frozen is a fun Disney birthday party invitation for anytime of the year. Easily personalize with your text. Disney's Snow White helps frame your personalized text along with the witch's red apple. A fun Disney birthday invitation. From Disney's Beauty and the Beast, Belle presents your personalized text on this colorful Disney birthday party invite. Jasmine from the Disney movie Aladdin in the foreground along with your personalized text. Soft purple background of the palace and the magic lamp. Cute Disney Aladdin birthday invitation. 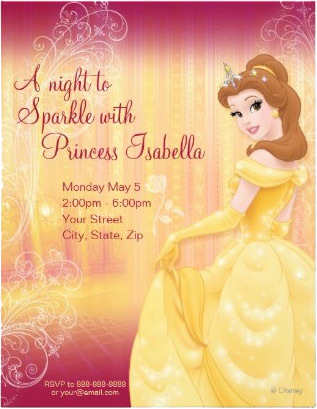 Personalize this fun Disney birthday invitation with your child's party information. Sleeping Beauty presents your personalized text on this Disney birthday announcement. Soft pink background with the road to the castle. Smiling Princess Merida from the Disney movie Brave frames your text. Soft blue background of the trail through the forest completes this Disney birthday invite.